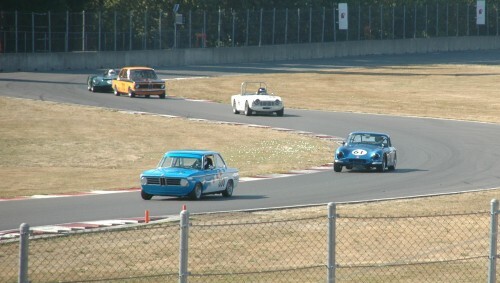 Vintage Racing Club of BC | A Battle for the Ages! 01 Oct A Battle for the Ages! ….or maybe that should be: ‘A Battle of the Ageless’? Anyway, two of the VRCBC’s racing legends, Leigh Anderson and Evan Williams had a great scrap at SOVREN’s Columbia River Classic at Portland International Raceway over the Labour Day weekend. It was almost like being at Goodwood! You can see a few more photos here.